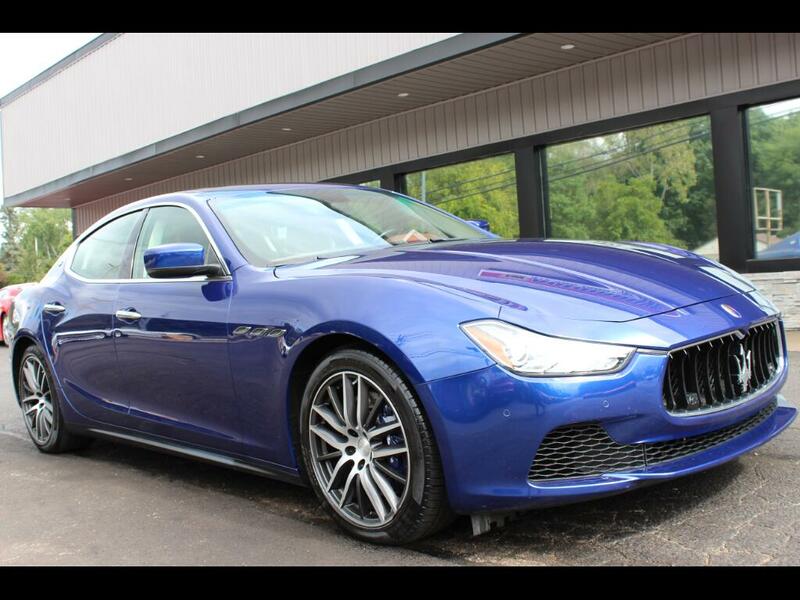 +++SOLD+++ 2015 MASERATI GHIBLI S Q4 AWD SPORTS SEDAN FOR SALE. BEST COLOR COMBO MADE. 404 HORSEPOWER! TWIN TURBO! SPORT PACKAGE! CLEAN CARFAX SHOWING ONE OWNER NO ACCIDENTS 16 SERVICE RECORDS AND A VALUE OF $44,390. VERY CLEAN INSIDE AND OUT! RUNS AND SOUNDS AND GREAT! TONS OF FUN TO DRIVE! THIS GHIBLI IS PRICED TO SELL. WE SHIP NATIONWIDE. TO VIEW THE MOST PICTURES VIDEO OR FREE CARFAX GO TO WWW.LWAUTOMOTIVE.COM. THIS VEHICLE IS LOCATED AT 9234 PERRY HWY PITTSBURGH PA 15237. PLEASE CALL 412-366-7400 FOR MORE INFO OR TO SCHEDULE A TIME TO SEE THIS VEHICLE.